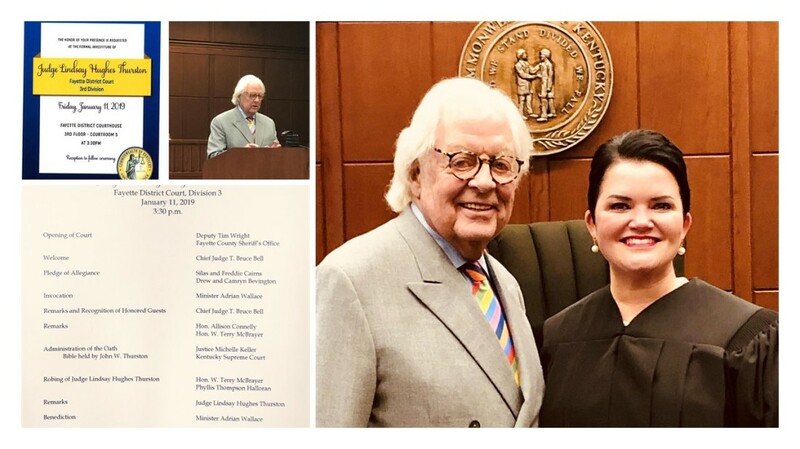 Friday, January 11th was the formal investiture of Judge Lindsay Hughes Thurston for the Fayette District Court, Division 3. The event was held at the Fayette District Courthouse. Our founding father Terry McBrayer was a guest speaker at the event.